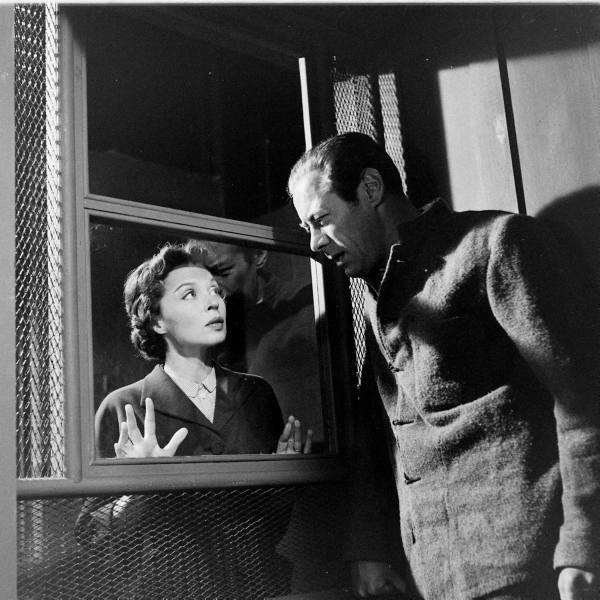 Last night I re-watched The Long Dark Hall, a great early 50's British mystery starring Rex Harrison and his wife at the time, Lili Palmer. It's a fantastic courtroom drama, where family man Rex is wrongly accused of murdering his mistress (okay, so he was only sort-of a family man) while the real killer still lurks about. I love that you know right from the beginning who the real killer is. The suspense isn't in the "whodunnit" but in wondering whether or not an innocent man will be sentenced to death for a murder he didn't commit, and if the real killer will strike again. There's one thing, though, that makes the casting of this movie kind of odd. In 1948, Rex Harrison's girlfriend, actress Carole Landis, committed suicide while he was married to Lili Palmer. His involvement in her death -- mainly speculation over whether or not he had anything to do it, and whether he had destroyed a suicide note she had addressed to him -- created a media frenzy at the time. I haven't read into the scandal much more than the quick wikipedia glance, but I can imagine that recreating a similar storyline in a movie only 3 years later with his offscreen wife playing his spouse in the movie, must have been incredibly eerie! Knowing the backstory definitely makes you see Lili Palmer's performance in a whole new light, too.